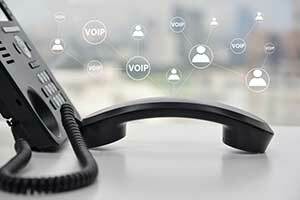 Chances are, you’ve heard about the popularity of Hosted VoIP, or Voice over Internet Protocol. But why does it matter, and how can it help advance your organization? Well, VoIP provides greater utility compared to traditional phones and at almost half the cost. It also eliminates the need for a regular phone line because VoIP services convert your phone into a digital signal that travels over the internet. So, to increase awareness of the benefits of using advanced VoIP features, below is a list of reasons why nonprofits need VoIP to improve efficiency. Nonprofits have to combat funding reductions by laying off non-essential staff members and doubling down on fundraising efforts like grant writing and past-donor outreach. These strategies are VASTLY improved with VoIP systems, as you can easily manage calls by receiving caller ID information. This gives you the ability to receive, reject, or direct a call straight to voicemail. Additionally, some VoIP services allow you to add numbers to a “blocked” list, ensuring telemarketers don’t waste your precious time. Many nonprofits understand the benefits of reaching out to past donors. But the true challenge lies in reaching out to new donors, and retaining the organizations’ existing donors. VoIP can track all incoming and outgoing calls, which aids your organization determining whether or not communication goals were met. Plus, your team is able to set new goals based on current call data. Millennials are becoming the next generation of nonprofit leaders and gamechangers, gaining executive authority and leadership positions left and right. They want a constantly connected, mobile workspace. If you have a staff who telecommutes, their cell phones are their office phones. VoIP offers employees a virtual office extension that can be accessed on the user’s cell phone using a VoIP app, allowing your staff to send and receive calls through the virtual extension, rather than their actual cell phone number. You’ll never lose track or insight into your team and having this option for employees will make you more attractive as a potential business for these leaders. Probably one of the coolest VoIP features is that your phone can transcribe your voice messages and send those messages straight to you email. Not only does this save your team tons of time, but it allows you to check messages whenever–even during a meeting! Picture this: your organization just hosted an awesome event, and the potential volunteer calls start rolling in. Rather than put them through numerous call transfers, and tedious manual instructions–allow your potential volunteers to receive accurate information via auto attendant services. An auto attendant is a prerecorded voice that serves as your organization’s virtual receptionist. Auto attendants can present several options for callers to select from, and quickly direct them to the appropriate department. 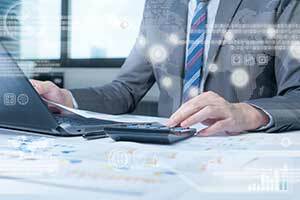 Remember–phone systems are more than hardware sitting on your desk. Phone systems are an extension or the basis of your new collaborative business or organizational structure. Now that you understand just how VoIP services can benefit your organization, contact Network Depot and CNSG to discuss affordable and scalable solutions for your team.